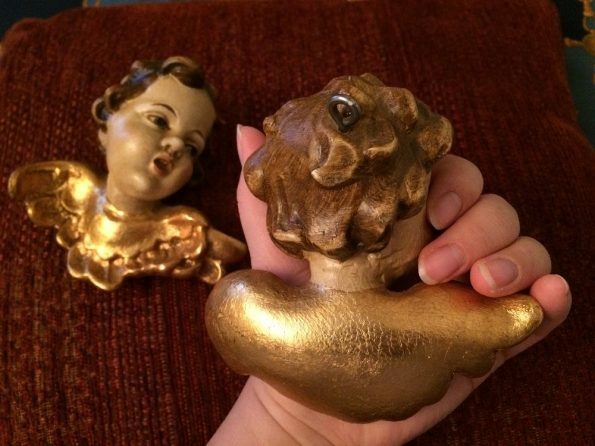 This is one of the most beautiful antiques I have collected. It is a pair of hand painted wood carved cherubs. 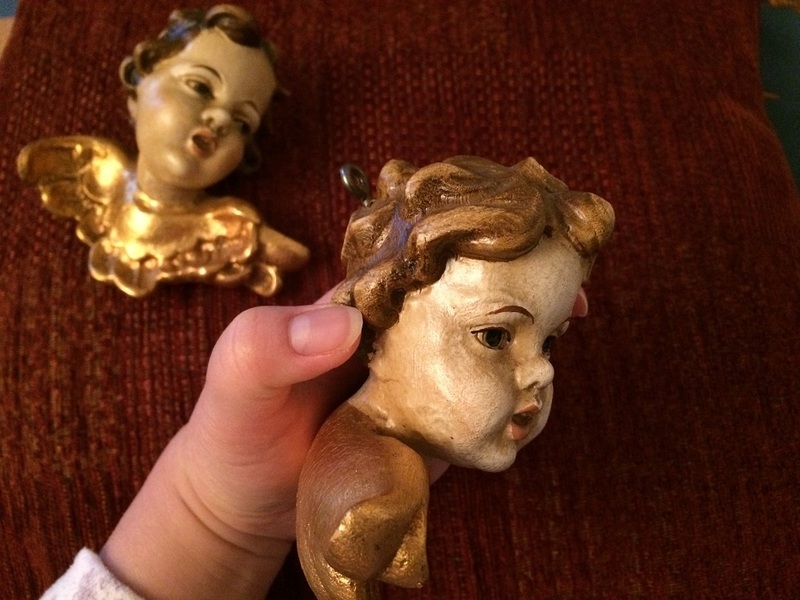 I bought it from Antiquitäten Kottmeier, an antique shop in Trier-Germany. I think the seller says that they are German. 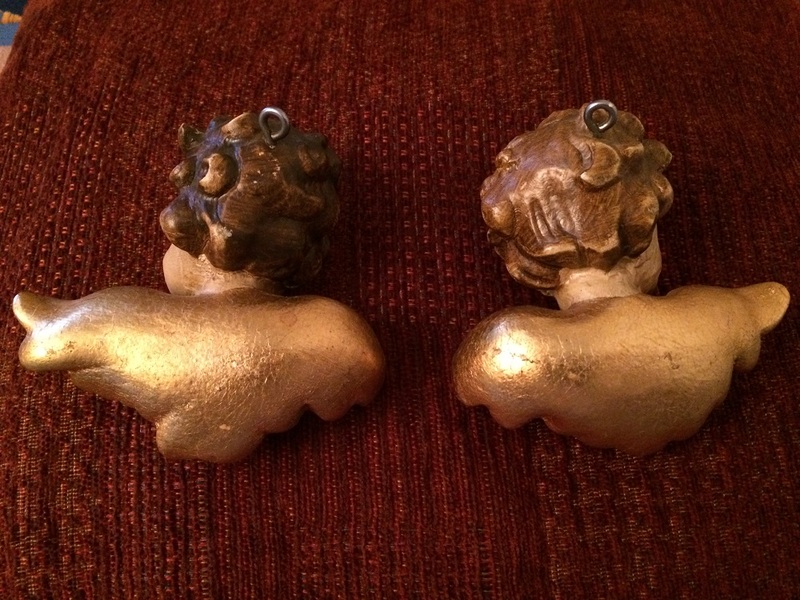 They are gilded and made from wood. 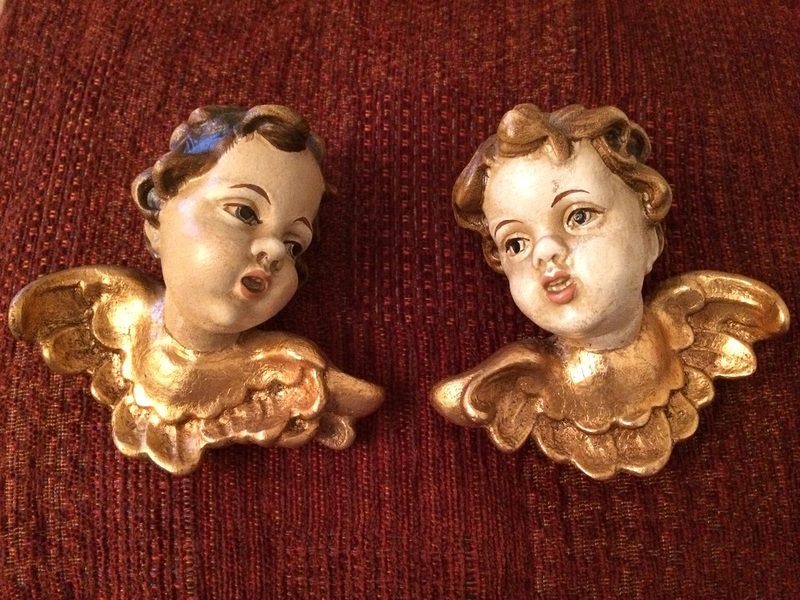 If I remember correctly, the seller says that they are from circa 1890 into 1920. So they are from the late 19th century to the early 20th century. 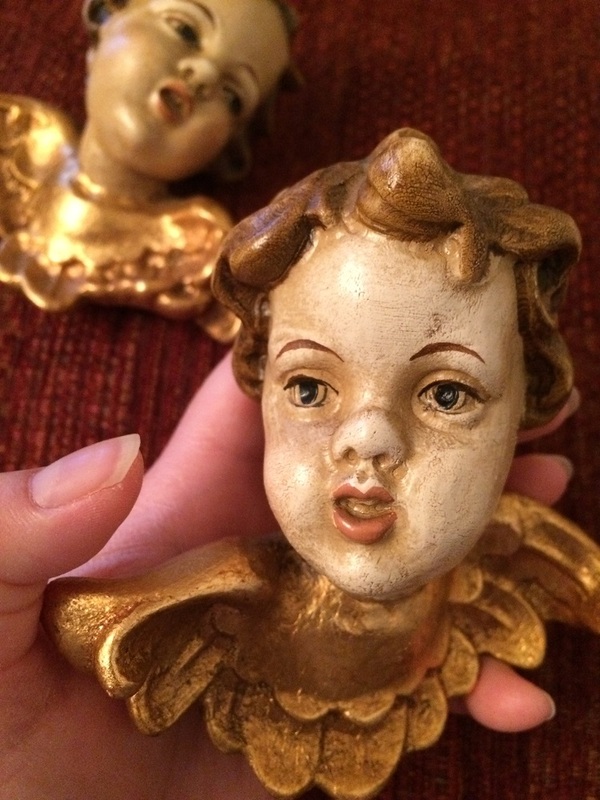 Here is the closer look of one of the angels. As you can see they each have a hook at the top. I think to hang it on the wall. 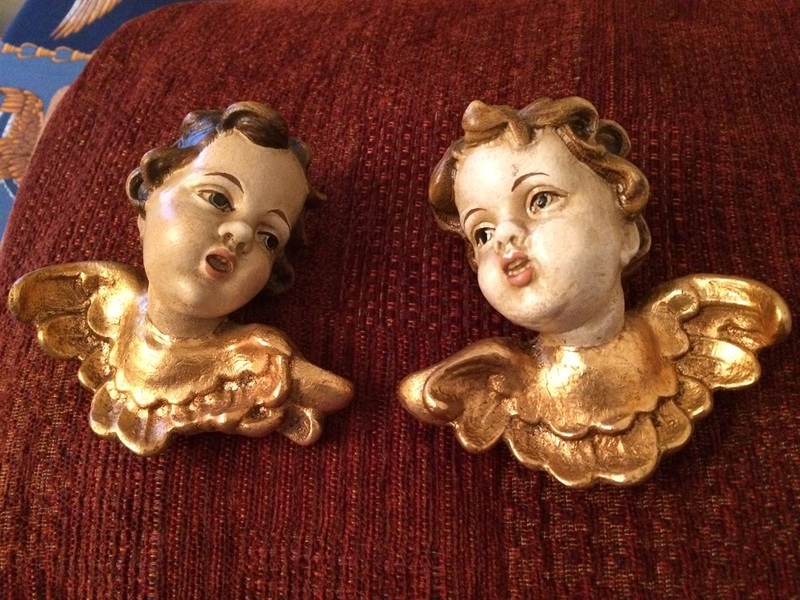 A hook on top of each angel. Look at the angel impression. It is divine! The hand painted colour is still vivid. 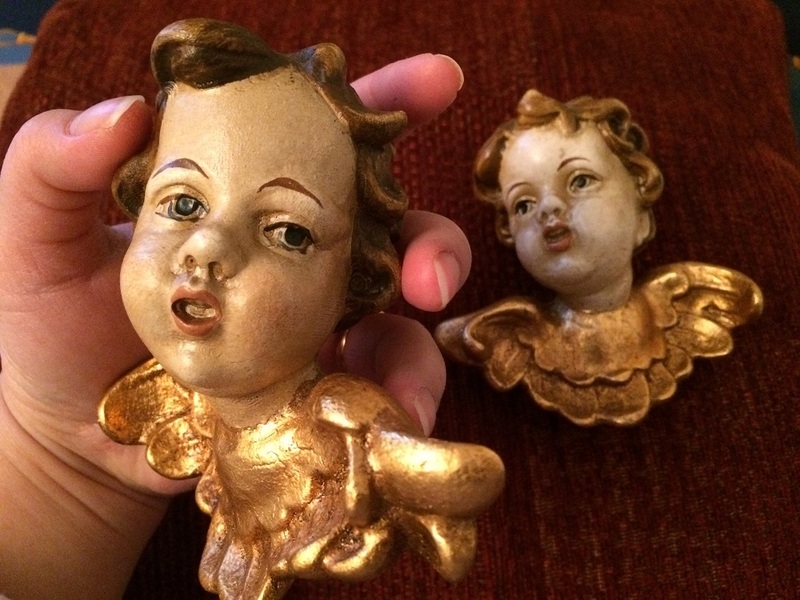 The angels eyes are black ~ so is this a typical German style of painting? 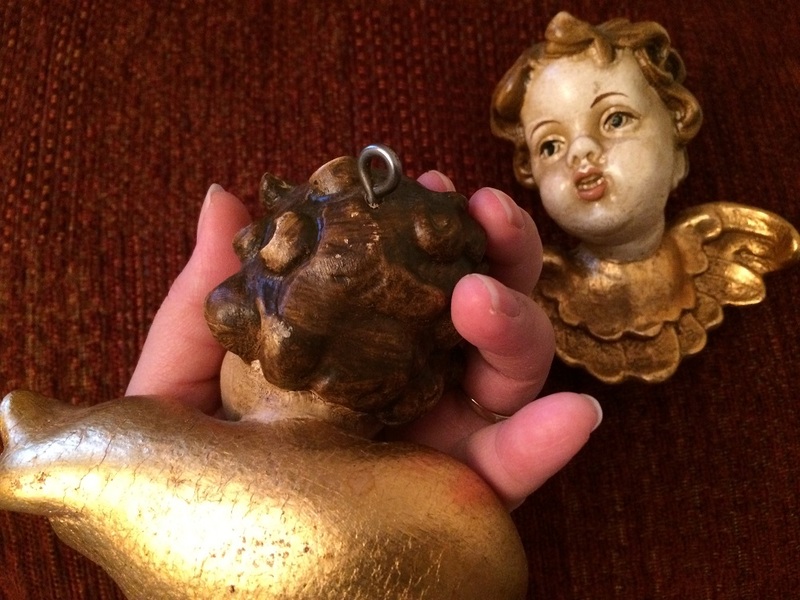 The gilded colour on the angel wings is vividly bright. You can also measure the size. It is about a little less than a palm of my hand. It has a hook on top. Look at the colour of the hair! The painting on wood is so beautiful. The angel has brown eyebrows and caramel lips. 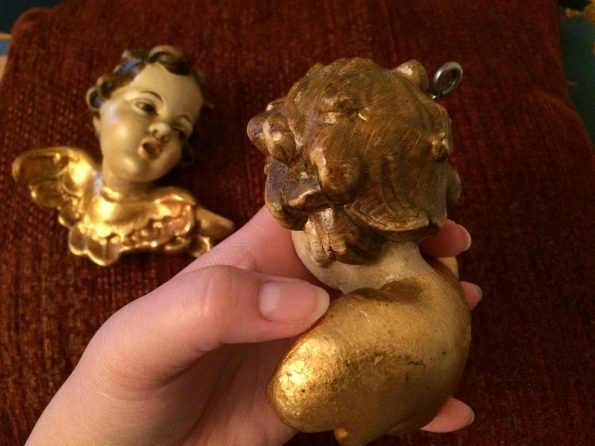 Look at the face of the Cherub! They have so angelic face! 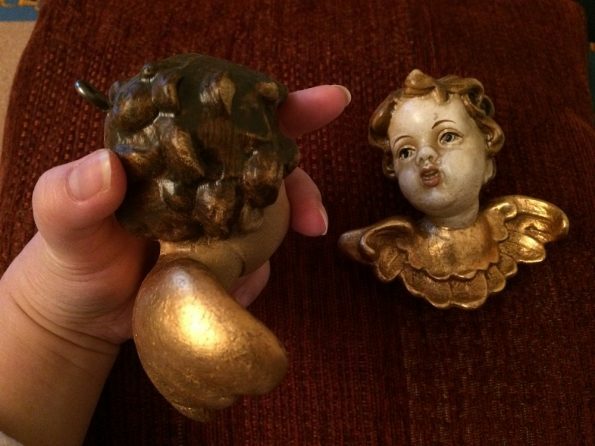 I am so in love with these heavenly cherubs! If anyone knows more the history about them i.e. are they really German? And what period exactly they were made, please do let me know.